Free Friday Wine and Beer Tasting 12-7-18! 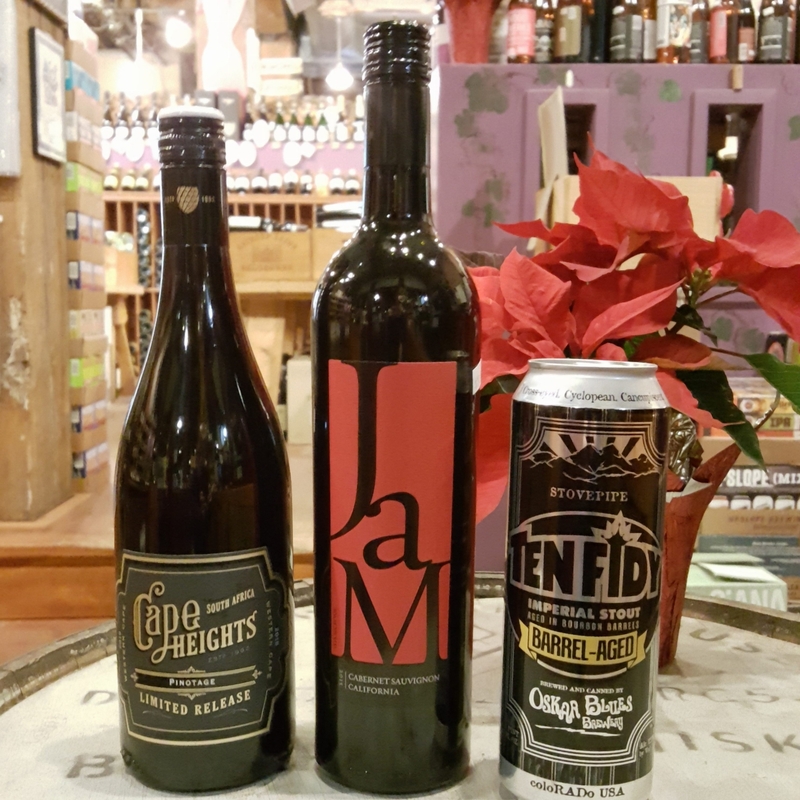 On Friday, 12-7-18, we will be pouring the Cape Heights Pinotage 2016, from the Western Cape region of South Africa, as well as the Jam Cabernet Sauvignon 2015, from California. Our featured beer will be the Oskar Blues Brewery Barrel-Aged Ten Fidy Imperial Stout 2017. We will have these open for tasting and discounted from 1pm-6pm! We look forward to seeing you at the tasting! http://winedenver.net/wp-content/uploads/2018/12/20181206_175615-e1544144878411.jpg 800 800 admin https://winedenver.net/wp-content/uploads/2017/04/Background-300x300.png admin2018-12-06 18:08:372018-12-06 18:08:37Free Friday Wine and Beer Tasting 12-7-18! When You Buy 2-Wednesdays, 12-5-18! When You Buy 2-Wednesdays, 12-12-18!